GRAFENWOEHR, Germany — October 14 marks election day for the Bavarian legislative assembly. 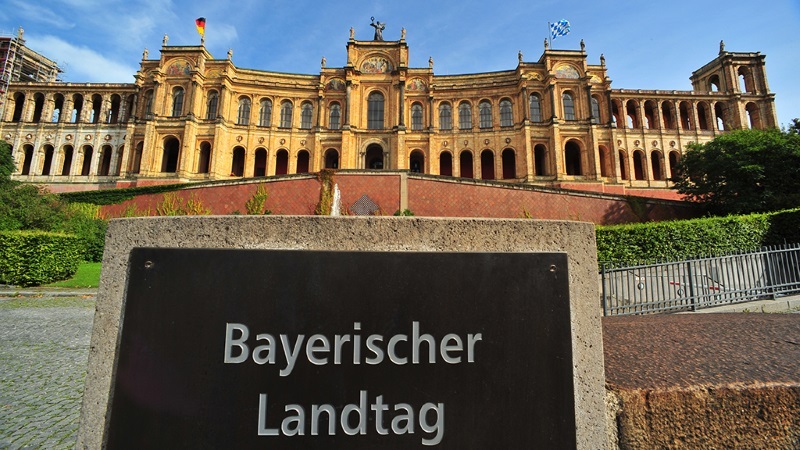 Every five years, Bavaria’s parliament, the Landtag with its 180 members, is elected. This guide tells you what you, as American neighbors to the German constituents, need to know to make sense of this fall’s campaigning season. Germany is a federal state consisting of 16 individual states of which Bavaria is the biggest in size and the second biggest in population. Like all German federal states, Bavaria has its own parliament, its own government and a so-called Minister-President who serves as the state’s leader. Bavaria is further divided into seven administrative districts, the Regierungsbezirke. USAG Bavaria installations are located in two of them: Grafenwoehr, Vilseck and Hohenfels are situated in the district Oberpfalz and Garmisch in the district Oberbayern. 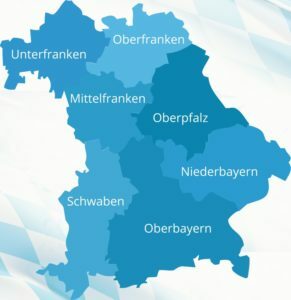 For the Bavarian parliamentary elections, the constituencies correspond with these administrative districts. Voters have two votes. With the first, voters choose one candidate from one party for their constituency. The second vote is given to a candidate from lists compiled by the parties before the election. The members of the Landtag are elected by a proportional system, which means that the competing parties generally receive as many seats in the parliament as corresponding to their percentage of votes. But to be able to enter the Landtag, the parties need to win at least five percent of the total number of valid votes, a hurdle that also applies to the German federal Parliament. In Germany, parties almost never rule alone as they need more than 50 percent of the all votes cast to do that. Therefore, parties cooperate to form a government: Usually two parties whose summed up percentages are more than 50 percent become what is called a coalition. Currently, Bavaria’s Minister-President is Markus Soeder and is a member of the Christian Social Union. The CSU is the “sister party” of the Christian Democratic Union, the party of German Chancellor Angela Merkel. Both parties follow a conservative policy and cooperate on the federal level. A Bavarian particularity is that only the CSU is up for election here. The CDU does not compete due to the parties’ cooperation. The CSU party now holds the absolute majority in the Landtag, which means it can rule alone, an exceptional position it would like to defend in the upcoming election. But according to recent polls, this endeavor may be hard to achieve. While the CSU will most likely stay the biggest party, it may lose its absolute majority and end up needing a coalition partner. Which of the opposition parties could take this position is an open question. Several parties are, in theory, open to forming a coalition with the CSU if they become big enough to be able to achieve a majority together. The Free Democratic Party follows an economic-liberal policy and would most likely be the CSU’s favorite coalition partner. But polls show that there is still the possibility that the FDP may fail to cross the five percent hurdle and not reenter the Landtag after having been voted out in 2013. The Green Party has also shown that it would like to rule alongside the CSU in case the latter loses its absolute majority. Another party which will likely enter the Landtag is the Freie Waehler Party. It has shown to be keen on becoming the CSU’s coalition partner. The Social Democratic Party has faced big losses in the last federal elections. In Bavaria, it wants to become the second biggest party but may have to fight for this position with the Alternative for Germany. The AfD is a right-wing party and managed to attract a lot of people in the last federal elections who in the past have cast their vote for the CDU/CSU, but are unsatisfied with the conservatives’ current policy. If the AfD can cross the five percent hurdle, which is likely, it would enter the Bavarian Landtag for the first time. The CSU sees it as their mission to win back as many voters from the AfD as it can and has ruled out forming a coalition with the AfD. That is why the CSU’s campaign is based on topics like homeland, security and migration, subjects the AfD also treats. In Germany, some areas like the police, education, schools or cultural policy are the sole responsibility of the federal states. Bills made by the Bavarian government and passed by the Landtag therefore affect all people living in Bavaria, for example if they come into contact with the police. Since the CSU plays a big role in federal politics as Chancellor Merkel’s sister party, the Bavarian elections are also closely observed in the whole of Germany. As election day comes closer, the campaigns will heat up. Flyers, placards as well as radio and internet ads will be distributed by all parties and may also reach you, especially if you live off post.